Free delivery for all prints available now! 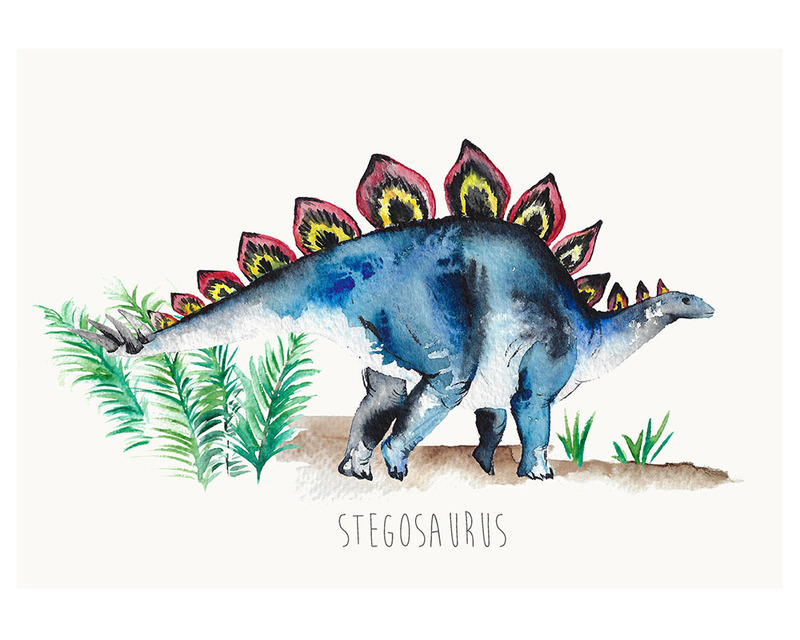 The spiky Stegosaurus re-imagined in watercolour detail is the star of this print created from hand painted artwork. 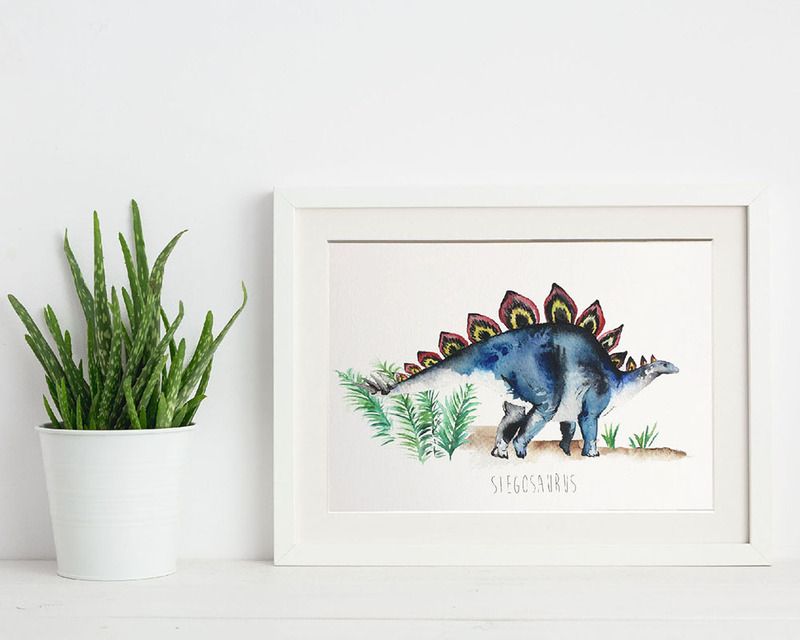 Prints come unframed or framed in white painted wood with a white mount. 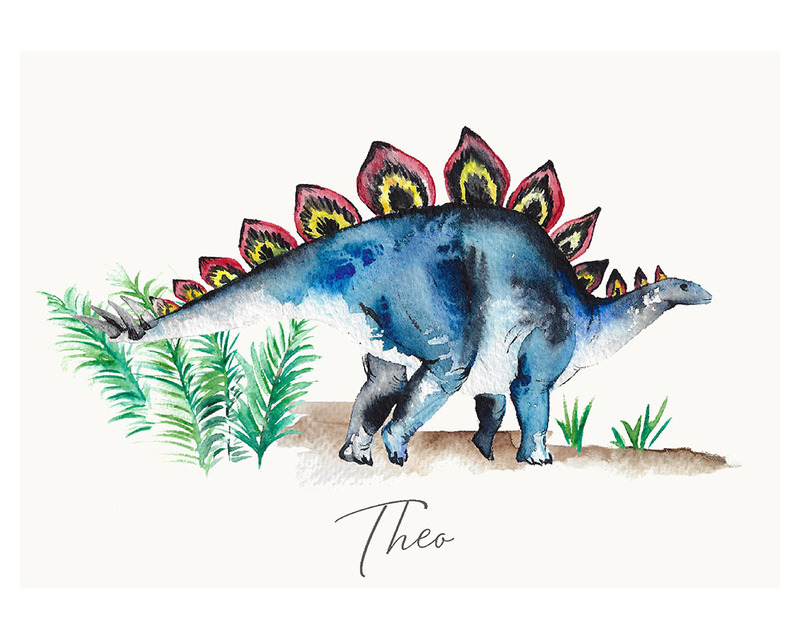 Personalise your print with a name and/or date of birth. For any other Customisation please message me. Anything is possible! Prints should arrive within 5 days.